A couple people have asked if I know how I will use the blocks. I have had a few ideas that I’ve played around with in EQ. Here’s the latest candidate. 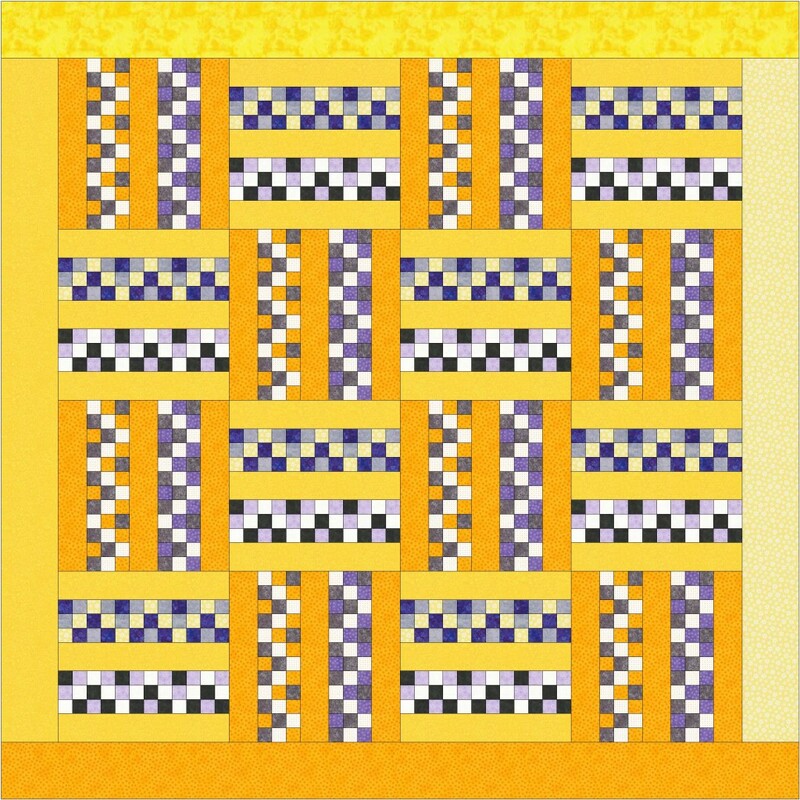 This layout would use 32 of the 34 Bargello 9-Patch blocks I will receive and lots of scrappy background–probably yellows and golds, but I would wait until the blocks are here to make that decision–to make an 84 inch square quilt. Edit to add – someone asked, so I figured others may wonder. EQ is Electric Quilt. I have EQ7 for Mac. That is pretty cool Sophie…I’d probably use some red somewhere with it though…just a small little flicker somewhere…No, can’t tell you why I’d do that …just a first impression.My brain was looking for it.